Most of us have seen young people playing guitars and singing Christian worship songs. Are you the beginner guitar player and want to try some easy Christian guitar song to play your guitar? 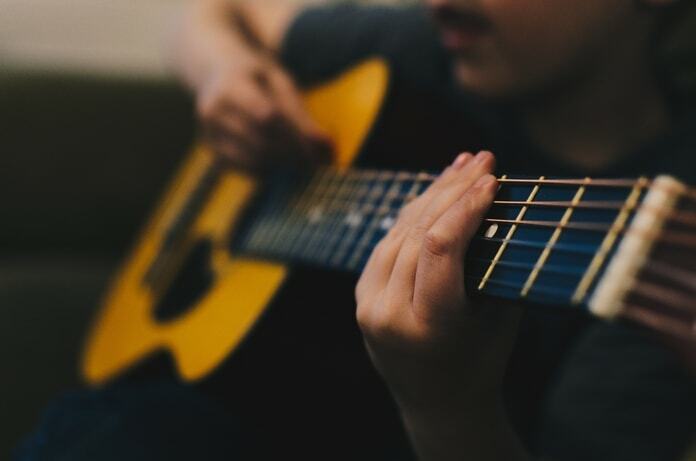 Many popular Christian worship songs are really simple and easy to learn to play them on guitar. Most of them contain only four or five basic guitar chords. So don’t hesitate, take a look at proposed worship songs guitar chords. You’ll be surprised already after the first practice. These easy Christian songs on guitar are not only easy way to learn something new to play on guitar, but also the way to worship our Lord. Worship God for what He is and what He has done to each of us. Here are some easy worship songs guitar chords that are really great for beginners. “10,000 Reasons Bless the Lord” was written by Matt Redman and Jonas Myrin. This worship song was recorded by Matt Redman on his 2011 album of the same name. “10,000 Reasons” won two Grammy’s and a Dove award for Song of the Year, so it’s really one of the most popular worship songs of all times. If you want to learn to play this song on guitar, it’ll take a little bit time, but it really worth to try. You can try to take a look at this video and after some training, you’ll be able to play this Christian song on guitar. Choose one of the suggested worship songs guitar chords video tutorials or look online for other video lessons and start to learn today. God is really worth some your effort to learn to worship and praise Him for who He is and what He has done for us.